Nordzucker is to contribute equity capital in the amount of AUD 60 million (US$42.5 million) for the 70 percent stake in the share capital. Mackay Sugar is also to receive an additional shareholder loan of up to AUD 60 million (US$42.5 million). The equity and debt capital contribution will be used for maintenance and capital expenditures to increase the availability of the three remaining plants with an annual production capacity of around 700,000 tons of sugar over the next few years. “The growth in sugar is taking place in regions outside the EU. By acquiring a stake in Mackay Sugar, we can secure a substantial share of the Australian market and gain access to the Southeast Asian market,” says Dr. Lars Gorissen, Chairman of Nordzucker’s Executive Board. “Cane sugar production is profitable even at lower sugar prices due to cost structures. We are convinced that Mackay Sugar with its investments in the plants will be able to make in the medium term a sustained positive contribution to Group earnings,” Dr. Gorissen adds. 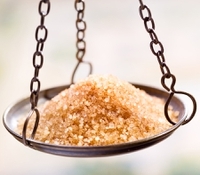 “The Supervisory Board is convinced that the entry into cane sugar production and the investment in Mackay under the conditions set is a strategically correct step to make Nordzucker stable and competitive in the long-term,” he notes.